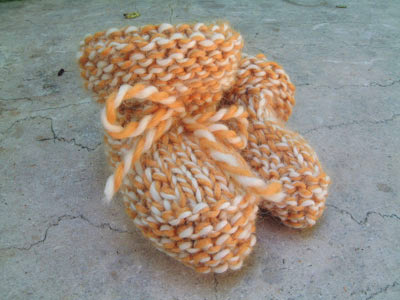 Luxury Hat and Booty sets from Fabsweaters- Handknit, handmade luxury baby hats, sweaters and Booties! A perfect hat and booty set - and you can make it a gift at checkout using our 'make it a gift' option. A great, not over the top, classy gift for a new mom and a new baby - a matching hat and booty set. Wrapped in our fabulous gift wrapped with a customized card. The perfect way to tell a mom, and her new baby, that they are FABULOUS! 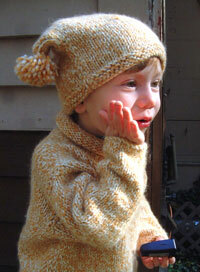 FABs great handknit baby alpaca toddler set - in infant sizes, too! A great new aby gift! Shopping for a new baby gift, or special toddler gift can be incredibly difficult. you know she or he is? Creative makes the difference in showing that you THOUGHT about the baby gift you purchased. Anyone can go to Amazon and buy a baby book or diaper genie! The thought that goes into choosing a one-of-a kind handknit baby gift shows that you didn't just 'check someone off your list'. You'll know you made the right choice when you hear the oohs and aahs our handknit sweaters, hats, booties and baby blankets get at baby showers and birthdays! Luxury was never so cute! Don't be afraid to be unusual. New moms know that their baby is the most special in the world. Pick a unique and unusual gift that shows you know it, too. as the child that wears them. Let us help you pick the perfect baby shower gift for an infant, new baby or that special handknit something for a mom-to-be. Let us know that you're shopping for a new mom and you'll receive 10% off your purchase. Just Email us and and you'll receive your free new mommy discount code! Need help deciding what to pick: see our Baby Gift Shopping rules - you can't go wrong! Sweater, hat and booty Baby Gift sets! makes any new mom smile! How to find the perfect gift for that perfect baby? something that can be handed down. Go look at what everyone else is selling for baby shower gifts. And then come here. You'll find a baby gift that is beyond compare. Contact us, tell us about the mom, and the dad, and we'll point you to the right sweater for that special baby.